A fun and healthy alternative to fries. 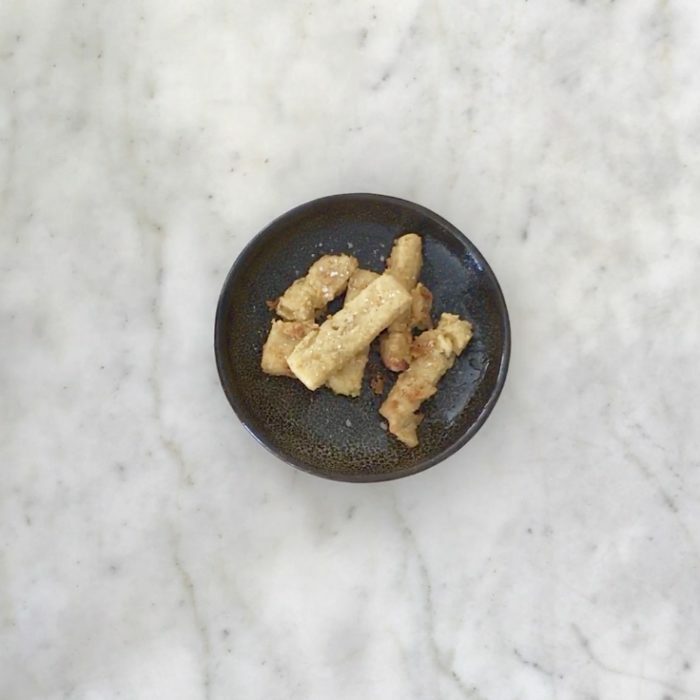 These nutrients packed chickpea fries are crunchy and delicious. They are a little more work than regular fries but it is so worth it. Plus, with this recipe you make tons of extra the first time and freeze them! Combine the flour, cumin and salt together, add to the boiling water and whisk vigorously until all the water is absorbed, about 2-3 minutes. Kind of like polenta consistency. Line a baking sheet with baking paper and spread evenly the chickpea mixture. Set in the fridge for at least 30 minutes until firm. When ready, take a knife and cut the mixture in fries shape like. Add the oil to a deep pan and turn on the heat to medium. Add the fries and cook until they are golden and crispy on the outside. Take them out and place on paper towel, sprinkle with salt and serve and eat immediately.